Layla Elamrani-Jamal wants to be a part of the educational changes in her home country, but for now she's helping introduce that home to Americans. 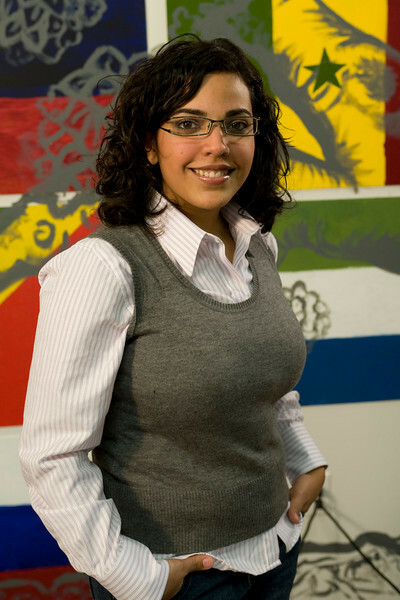 Elamrani-Jamal left her home in Rabat, Morocco, and arrived in Terre Haute in 2007 to begin working on her master's degree in educational leadership, administration and foundations at Indiana State University. "I wanted to do some changes in my home country that I could not do as a teacher in one classroom," she said. "If you compare the educational system here in the U.S. and in Morocco there is a big difference. They still are struggling and trying to develop the educational field. Through the administration I can affect more changes." While Elamrani-Jamal is preparing for that future, she also is working to introduce Moroccan culture to the Terre Haute community. As a founding member and president of the Moroccan Student Organization, she has worked to share her country with others. This week organization members are selling tickets to "A Taste of Morocco," which is scheduled for 6-8 p.m. March 31 in ISU's Hulman Memorial Student Union Dede I. Tickets are available in the International Affairs Office and in the Commons until Thursday, March 26; they are $8 or $6 for students. The dinner will be served family style with Moroccan music and dances as entertainment. "We want to share our culture with the community, ISU faculty and students," she said. "We want to raise awareness of Morocco. ISU has a lot of cooperation with Morocco." For almost eight years, ISU administrators and faculty have worked alongside Moroccan officials to help create a social work program, train university administrators and help create a national accrediting agency for higher education. 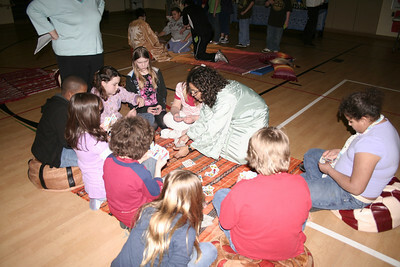 Elamrani-Jamal also brought a bit of her culture to Meadows Elementary School students earlier this year. Since August, she has interned at the elementary school learning about the different aspects of running a school. She has worked alongside Susan Newton, Meadows principal. "She is really a good principal," Elamrani-Jamal said. "I've been learning about dealing with a kid or dealing with a teacher, and just how to deal with complicated situations." Newton said Elamrani-Jamal has become a member of the Meadows family. "Our students and staff love Layla," she said. "She has been an active participant by assisting in classrooms, tracking recognition for good attendance, aiding in publishing our first student newspaper and helping out in any manner necessary." The graduate student also has spent time in the classroom observing teachers and their students. "There are a lot of good ideas that we didn't have in my elementary school," she said. Through her interaction with the students, Elamrani-Jamal said she would often be questioned about where she was from and if she spoke Spanish. When she told the students she was from Morocco, they were often puzzled as to where it was located. When Newton asked Elamrani-Jamal to organize the school's annual Diversity Day and Cultural Fair on Morocco, she jumped at the opportunity to share with the students about her country. "Not many people know about Morocco," Elamrani-Jamal said. She made presentations in classes and on the day of the cultural fair arranged for other international friends to help her with different booths such as using henna, writing the students' names in Arabic, creating a traditional symbol denoting good luck, tasting Moroccan food and playing a card game. 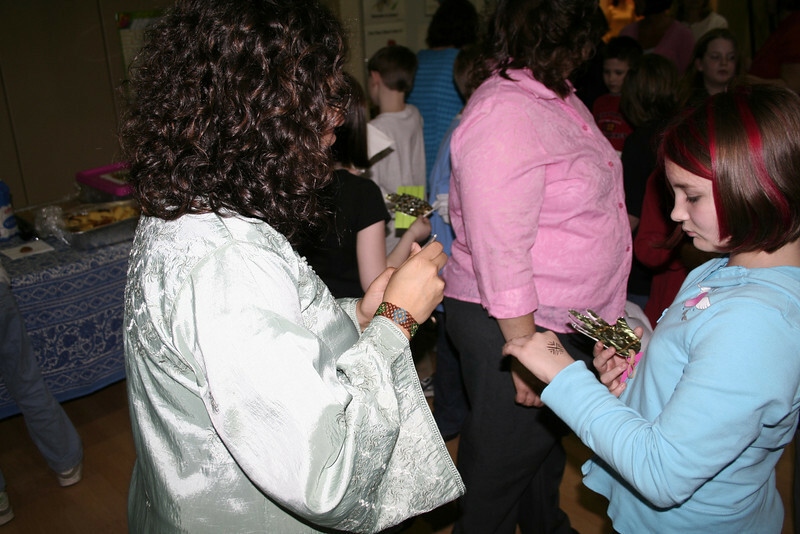 "The students were very curious and very eager to know about other cultures," she said. "During Diversity Day activities, our students learned about various cultures through questions and conversations with the ISU international student volunteers," Newton said. "It is safe to assume that our students found the international students intriguing." The day also provides the students with experience of learning about and understanding other cultures, Newton said. "They need to know that all people should be treated with respect and dignity," she said. The day on Morocco also produced another effect. Elementary students began stopping Elamrani-Jamal in the hall to say, "I know where you come from." Elamrani-Jamal also arranged a teleconference with a school in Rabat, Morocco, during which the Moroccan and American students talked about their school days and what they studied. Then as part of Dr. Seuss Day on March 2, the librarian at Meadows read a Dr. Seuss book to first graders in Morocco via teleconference. "This something they can keep on doing next year and keep a relationship between the teachers," Elamrani-Jamal said. Through working with Elamrani-Jamal, Newton has no doubt that the graduate student will do well in the future. "Layla has the leadership qualities necessary to succeed in any endeavor," she said. "She is bright, cheerful, motivated and talented." As Elamrani looks forward to graduation in May, she also is trying to plan for her future. She would like to earn her doctorate degree and gain more experience in American schools, but she also feels the draw of her home in Morocco. "There is a big need over there and I'd like to be a part of that," she said. For tickets to "A Taste of Morocco" contact the International Affairs Office at 812-237-2440. Additional information may be found at http://www1.indstate.edu/IAC/activitieseventsannoucments.htm. Cutline: Layla Elamrani-Jamal, an ISU graduate student from Morocco, plays a traditional Moroccan card game with children at Meadows Elementary School during is Diversity Day. Courtesy Photo. Cutline: Layla Elamrani-Jamal, an ISU graduate student from Morocco, paints a henna design on a Meadows Elementary Student's hand as part of the school's Diversity Day. Courtesy Photo.